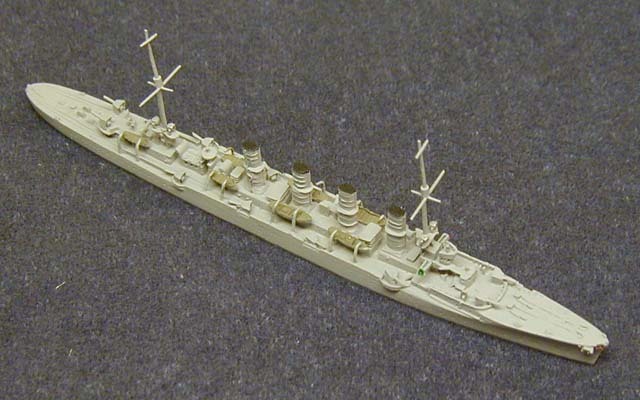 Midilli was a Magdeburg class light cruiser. Her construction started in 1910 and finished in 1912 in Germany. 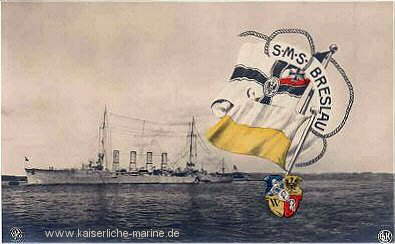 SMS Breslau took her name from the German city Breslau and became an alternative to the Goeben warship. 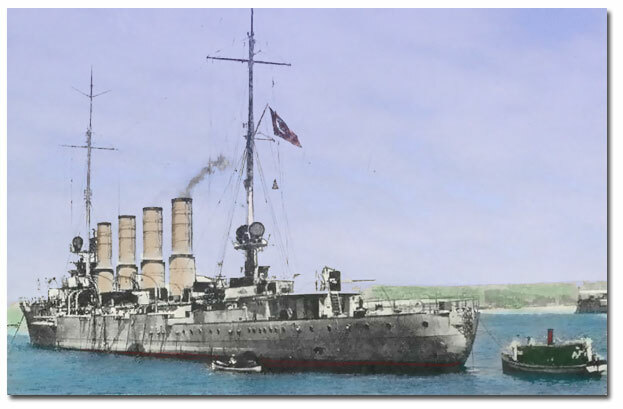 In 7th of August 1914, after she started her way to Istanbul, she collided with English cruiser HMS Gloucester but she reached IStanbul without any damage. She started her missions here under the Turkish flag with her new name "Midilli" under the command of lt. colonel. Kettner. In her first mission she bombarded the Russian Harbour Novorossisk. Later She parted in a lot of missions against the Russian Navy. Her guns have been changed in 1916 and 1917. 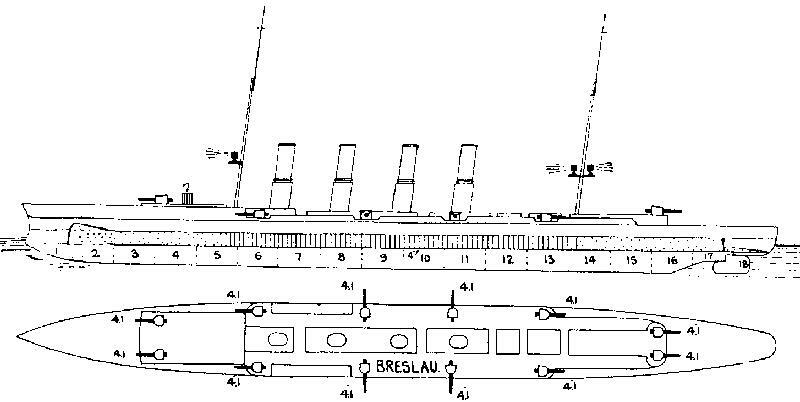 Her 10.5 cm guns have been changed with 8 6inch guns. She served in the Cape Saryc war in 18th of November 1914. 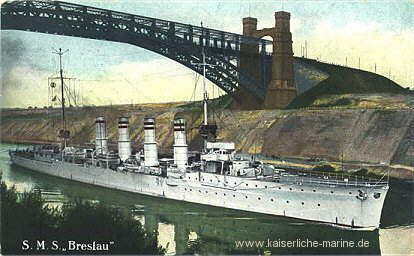 In her mission in 2nd and 3rd of April 1915, she sunked two Russian merchant ships in the Black Sea. In 10th of July 1915 , she got damage from Russian destroyers. 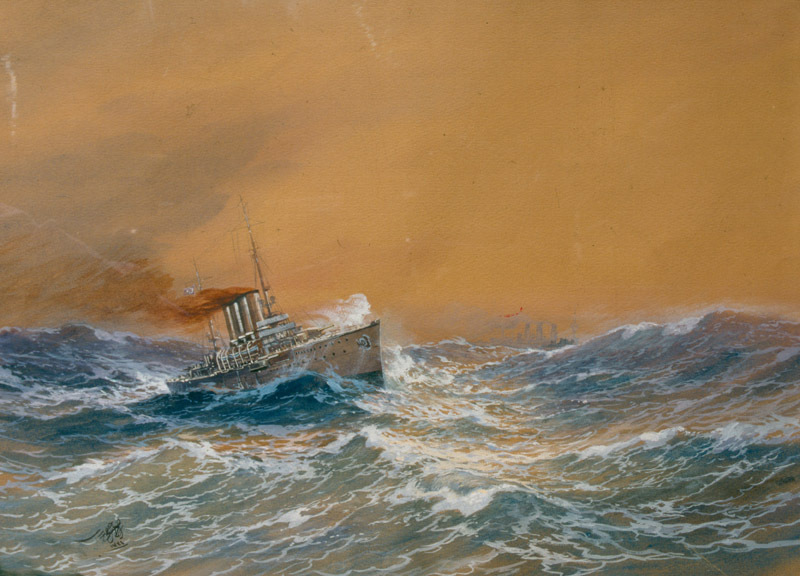 She got damage from a collision to a mine in 18th of June 1915. She sunked Russian mine Cleaner T233 and a merchant ship in 18th of April 1916. She sunked two Russian Merchant ship in 4th of July 1916. She destroyed the radio station in Snake Island and layed mines around here in 23rd of June 1917. 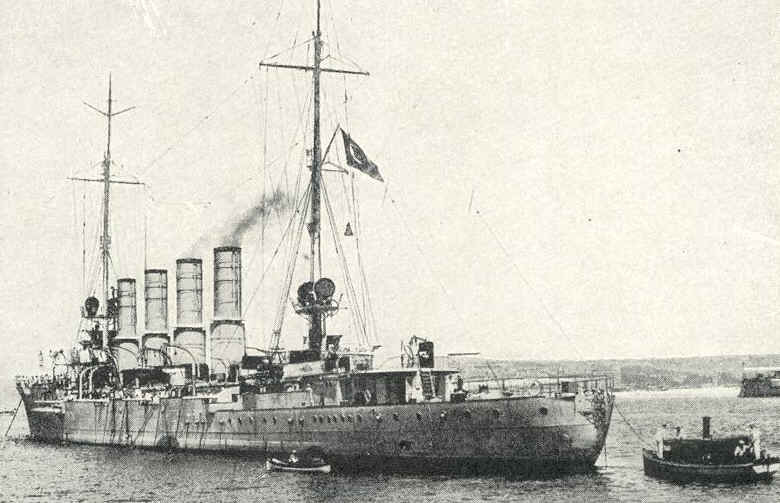 She sunked Russian War ship Svobodnaya Rossiya in 25th of July 1917. 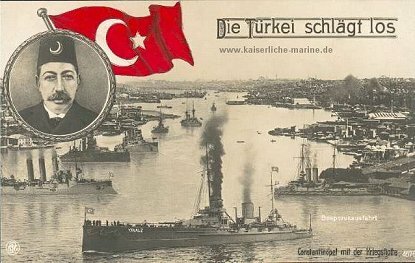 In 20th of January 1918, while the first lights of the morning started being seen, she attacked the blockage fleet of allied forces with Goeben and four Turkish destroyers. 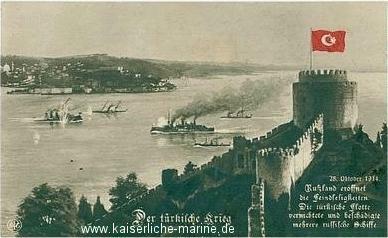 Before Goeben sunked HMS Raglan, Midilli fired a lot of good aimed shots to Raglan. She sunked M28 monitor ship with only one shot. After this succesfull attack while retreating she collided with five mines in one hour around the Lemnos island. 150 of the crew had been rescued but 330 of the crew had been died. Her coordinates today is 40°05’N, 26°02’E.